It’s not easy living in a small space. You’re constantly having to battle for an inch for daily living. And extra kudos to you if you have someone else in the bedroom with you navigating the tiny space. We know one thing, we are grateful nonetheless to have a space to call our own. We know that many people don’t have a roof over their heads so who are we to complain about our living situation. What we can do is get creative and engineer larger spaces with what we’ve got. We love transforming spaces and you can easily accomplish the task by reframing your mind and re-envisioning the space. 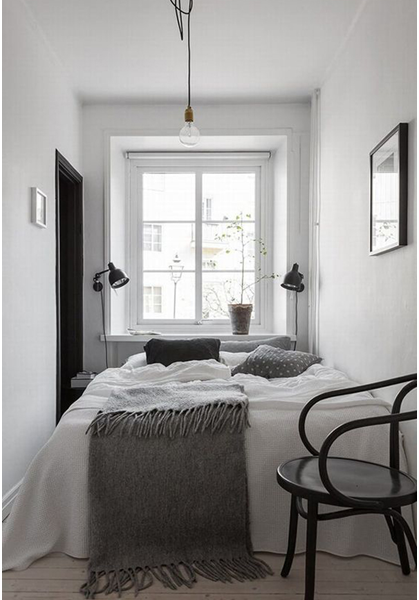 Here, we discuss how you can make your bedroom look larger than it appears. 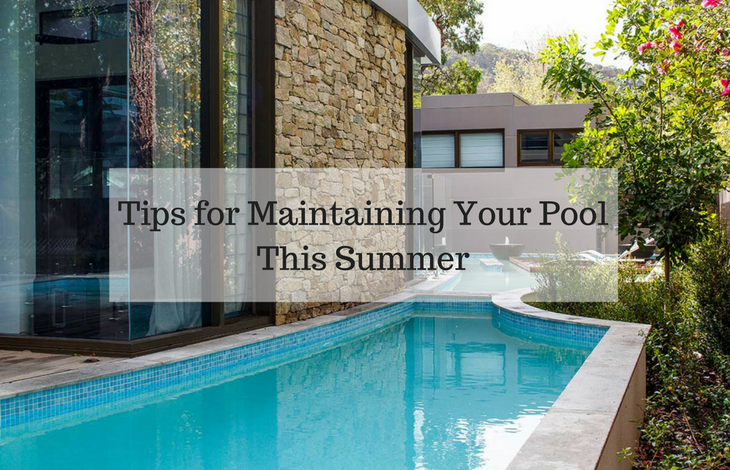 When having a small space, the number one goal is to maximize every single square foot of the place. That means using every piece of corner the room has to offer. One way to take advantage of the space is to get a wardrobe that is multifunctional. There is a plethora of wardrobes that offer a variety of conveniences. Our favorite wardrobes double as entertainment spaces for our televisions and random trinkets. In addition to massive storage, you can also use a wardrobe as a way to declutter the home. A wardrobe and all of its compartments also allow for optimal organization and a neat appearance. Organization and lack of things on display is the ideal way to achieve minimalism, which makes a small space look more spacious. 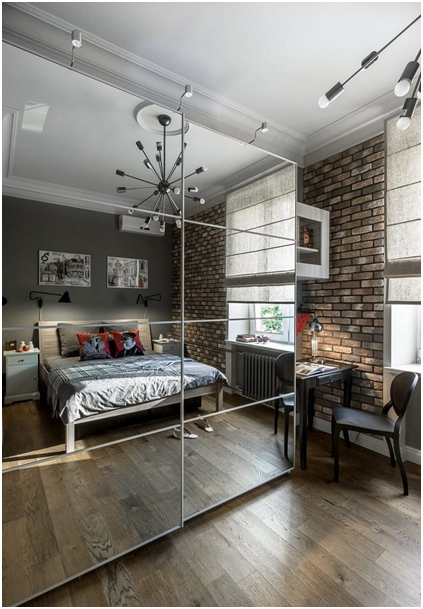 Consider getting a wall mirror that will not take any floor real estate in your small space. We recommend getting a wardrobe that also doubles as a mirror. You can find mirrored wardrobes at furniture stores all over and doing this will open up the room. Mirrors make the room appear larger than what it is and also makes it brighter due to light reflecting all over. You can also use the mirror as a whiteboard for schedule planning and goal setting by using a dry erase marker, giving you a bit of a little home office vibes. Hey, we’ve got a small space to work with here. Window treatments are always nice as you can really present a lot of style in flair in a room but for a small space, we recommend letting the window treatments go. Window treatments cover up the windows and for a small space, windows transform a room by making a space look larger than it appears. 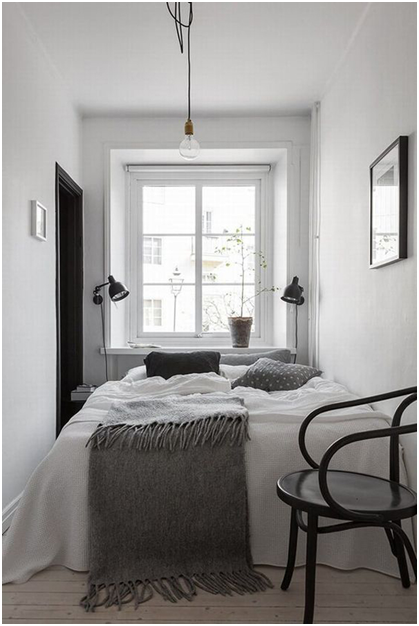 Windows make the bedroom look open and brings in extra light which allows for a wider and larger looking appearance. When limited on space install a few wall shelves in your room. In industry these shelves are called floating because that’s how it appears without having a foundation on the floor. These shelves are very sturdy and can be purchased and specified to support different weights. We get it, you have to work. A desk has become just as important as a bed this generation as more and more of us telecommute and have to work from home. In a small space, it’s tough having enough space for a small desk for your computer and even additional storage for a printer! For these situations, we recommend building a foldaway desk that you install in the wall via hinge. You can put the desk back away on the wall when not in use. When you are ready to work, just pull it on down! Next PostWhere Does Brexit Stand Now? Can you Tell the Difference between Timber Floors and Engineered Timber Flooring? 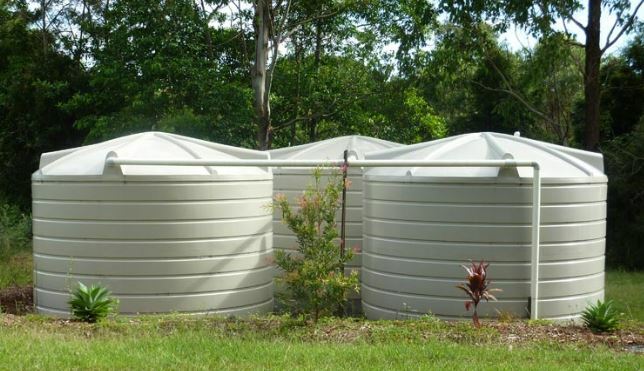 How long can I expect a water tank to last for?